Those two trailers are full of wonders. They sell two different movies. The first one is French, the second one is American. haven't seen it despite being offered a free opportunity once. in others words i've made efforts not to see this movie. even with Benoît Debie. really when i think of this movie it makes me want to rewatch Rust and Bone. just kidding because i've been itching to rewatch that movie for like two years and unrelated to this. that's for some reason the preface into saying John C and his wife having bought the rights to this book is my favorite part about it. Went into a Cinerama Dome showing of this without knowing anything except cast/dir/dp and found it a completely mediocre western, but an interesting piece of visual poetry. You can tell it's an adaptation of a novel... That is, it's a slog with too many ideas/ambitions that are let down by a lack of energy -- but Debie kills it. It is *quite* oddly toned. I didn't even know it was based on a novel FOR SURE until the credits started rolling, but that feeling starts creeping around the second Act, that these characters all have more vivid internal lives than we're being shown. same here, but I am still looking forward to watch it... I just enjoy westerns, even mediocre ones. I’ll echo most of the sentiment here. This is just not very good at all. A murky and vague adaptation. I’m ASTONISHED Debie shot this. Wow. What a major whiff. looks like i'm of the minority opinion, was downright gaga for this movie. 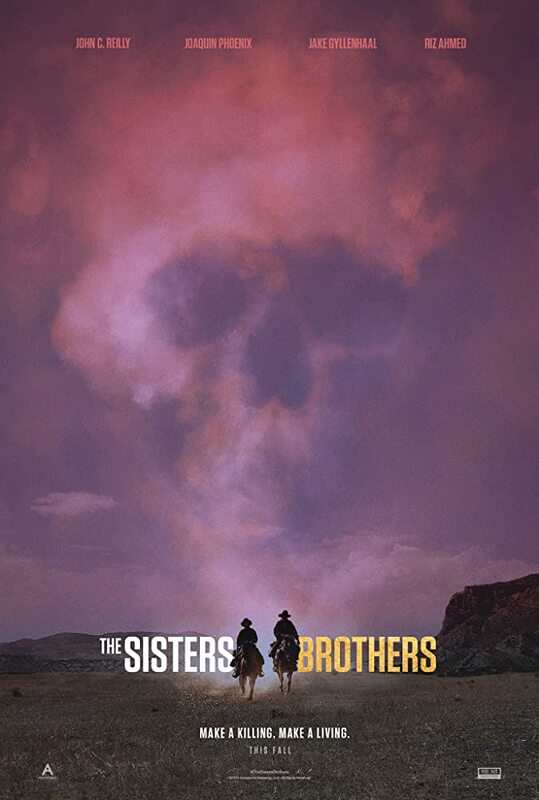 not a western buff, but have seen enough to recognize Sister Brothers as being more antithetical to the genre. i will agree that it is very novelistic, in the way it sprawls, thankfully all of the ideals and story points fascinated and quite unexpectedly touched me deeply - - particularly the end. been a while since JCR chomped on this size of a leading role, last time was probably Step Brother/The Promotion over a decade ago. he's in great form here, as they say, it's his movie more than anyone else's. found the brotherly bond to be well played, there is a long history between the two characters that is evident in the actors' chemistry and the way the characters relate to each other. the love/squabble dynamic between them was a powerful anchor. the alternating gyllenhaal/riz plot also served the overall story well, their ideals paralleling JCR's aspirations. Audiard does a very good job of sticking to the book (i think, haven't read it but seems to be the case) and not going for conventional shoot'em up tactics, it's very much so a character based movie. i guess an art house western. He's got great style, haven't seen A Prophet since it came out but remember it well enough to notice similarities in the tracking camerawork. and that Alexandre Desplat, boy is he great. i don't usually notice a score, this and shape of water and isle of dogs made it impossible not to pay attention and enhance the aura. had a heavy magnolia flashback during one scene, featuring JCR on a "first date", where the woman is so spooked by his earnestness she abruptly ends it, he blocking her exit as she says "let me go, just let me go" and him watching her leave with that same expression of hurt and confusion on his brow, a la the first date with Claudia. this movie included, Phoenix has starred in three of my favorites this year. the man simply knows how to pick amazing projects (Irrational Man not included). loved this one...a lot.